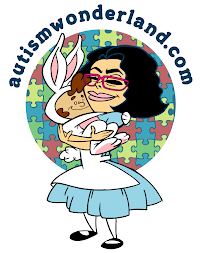 AutismWonderland: Vaccines & Autism: The Controversy. The topic of vaccines and autism is as hot a debate as politics and religion. And I've learned not to discuss my opinion about whether or not vaccines cause autism. But after watching CNN last night and reading all the on line arguments, I have to. Dr Andrew Wakefield's study that linked autism to vaccines has been labeled as an "elaborate fraud." And parents are pissed. But I have to admit. I am not surprised. I first heard about the connection seven years ago. My first thought about it was: Parents need something to blame. After Norrin's diagnosis, I still didn't believe there was a link between the two. But it had become a witch hunt, with Jenny McCarthy leading the angry mob. After Norrin's diagnosis, I wanted answers too. So I understand why some parents are so adamant in blaming vaccines. In order to understand or cope, an explanation is needed. The vaccines are the easiest target. I believe it's a culmination of things: the environment, food, water, DNA and vaccines. But mostly, the environment, food and water. Think about all the garbage that's in our food: preservatives, additives, pesticides. Think of how food and diet has changed over the last 30 to 40 years. Maybe its the water - its the one thing everyone is exposed to. How often have we heard of pharmaceutical companies dumping waste into the water. Is autism the result? Or maybe it's the environment in general - air pollution could be the cause. We all have to breathe. New Jersey has the highest rate of autism in the nation. This alone, leads me to believe that autism goes beyond vaccines. Have you seen the New Jersey Turnpike? Whenever we drive through Jersey, I see factory after factory. Clouds of grey smoke blowing up into the sky. Why doesn't anyone question that? But that's a tough battle to fight. And the government and major corporations aren't going to step forward to accept the blame. For now, I think the important thing is to focus on the families living with autism. Let's work on services, awareness, schools and providers. Prevention can take a backseat to that - but this is all just my opinion. I'm not a doctor or scientist. I'm just a mom of a child with autism. And I don't care what caused it, because I can't change the fact that my son has autism. All I care about is moving on so that Norrin can move forward. I've always shared the same belief. There have been NUMEROUS studies that came out concluding that there is no link between autism and vaccines; the fact that the British Journal finally admitted it is sort of like an extra nail in the coffin. For a lot of parents though, it's not enough and it'll never be enough. For me though, link or no link, I just want what's best for my child. If other people want to waste their time and energy fighting these types of battles, let them. But for me, I'll just focus on helping my daughter. Regardless of WHY she has autism is not as important as treating her autism - NOW! THANK YOU for backing me up! I was a little nervous about this one - I hate the idea of ruffling feathers. But I just had to. I was reading this whole back and forth argument on line and this mom was ANGRY - saying how the vaccines destroyed her child and how he used to be normal! And I almost felt sorry for her. I've heard of those studies too, and like you said - the nail in the coffin. And for a lot of parents, they'll still argue it. And that's fine, but I'll put my efforts elsewhere. I'm curious to hear Jenny McCarthy's thoughts - I'm surprised she hasn't released a statement. Excellent:"Let's work on services, awareness, schools and providers. Prevention can take a backseat to that - but this is all just my opinion. I'm not a doctor or scientist. I'm just a mom of a child with autism. And I don't care what caused it, because I can't change the fact that my son has autism. All I care about is moving on so that Norrin can move forward." It's exactly how I feel; what matters is what we do now, the effort we put into helping our children grow and develop and overcome their challenges, the work we do to make sure that services are adequate, how well our community works to support each other so that no parent, no individual with autism, feels alone. Oh and Jenny's still standing by Wakefield. Thank you Kim! EXACTLY!! The blame game and finger pointed needs to end. There are more pressing issues at hand. I read that and shared on facebook! It's crazy how many people follow and listen to her. And you know what really ticks me off? The fact that Jenny McCarthy, who used to be looked at as an "airhead" all of a sudden is deemed a pioneer and people look to her for guidance now. Only in America. So true, Lisa. I completely agree that the environment has to come into play in all of this. I'll admit that I did think there may have been a link when I first heard this. Heck, people are even upset that I got a flu shot while pregnant, but I did anyway. I'm just glad that we know the truth now and that parents and families everywhere can move on and move forward in whatever way they can. Hopefully, public health as we know it will do the same. Lisa, I feel that Autism is caused by some genetic component AND the environment. I have met way too many families that are in denial and want to be quick to blame it on vaccines, however, when you look at their family a little closer, you can spot 'Aspergerish' traits in the gene pool. The fact that Autism is more prevalent today...leads me to believe that something in the environment is triggering this autism gene to some other level that cannot yet be explained. Again, my personal opinion, but I am speaking from the driver's seat. Your blog is amazing! I think this is an excellent post. You aren't pointing fingers or saying that you have it all figured out. You simply state your opinion. I didn't know that about New Jersey. Something to think about. I'm a new follower of your blog and when I read this I knew I would be a follower because I totally agree and I never thought vaccines were to blame for my son's condition! Jenny McCarthy drives me bananas!